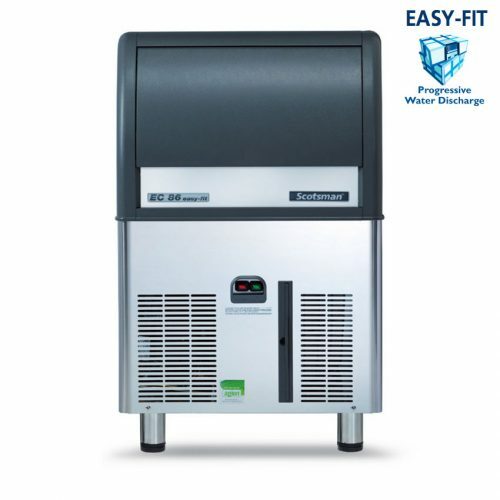 Prodigy® undercounter cubers use significantly less energy and water than other cube ice machines, exceeding Federal energy efficiency regulations. 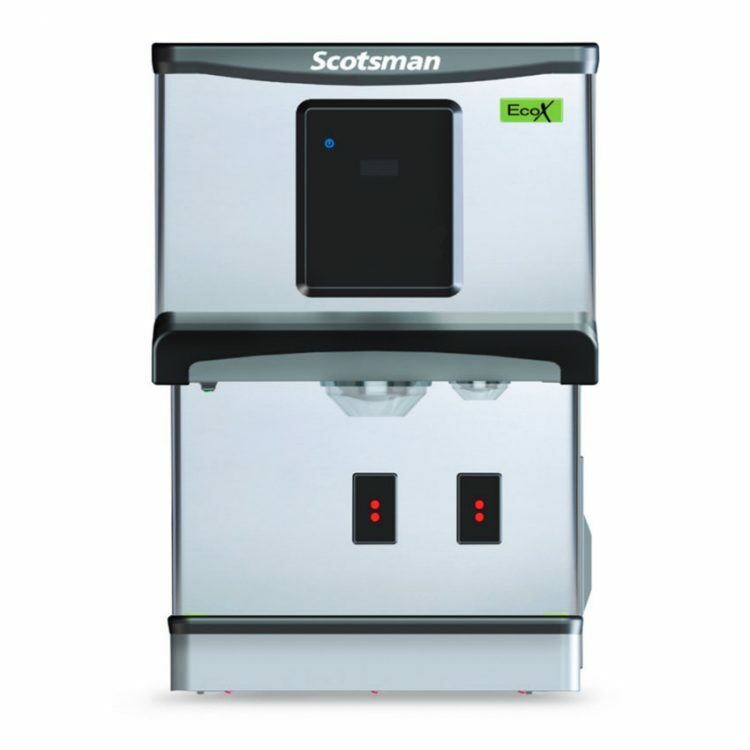 AutoAlert™ control panel can communicate operating status and signal when it’s time to descale, sanitize, and more-making upkeep easier. 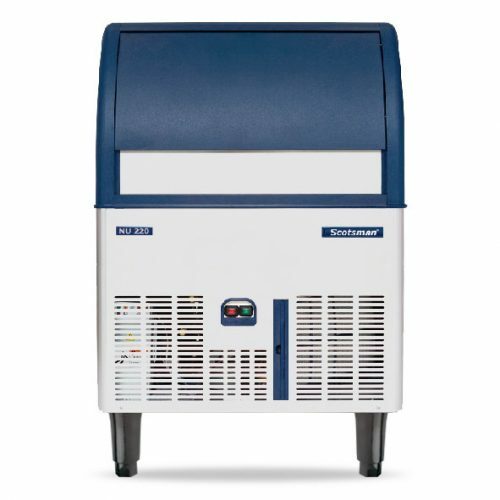 The patented WaterSense adaptive purge control delivers maximum reliability by reducing scale build up for a longer time between cleanings. All external panel components are crafted for optimal aesthetic appeal throughsuperior fit and finish. Preventative maintenance is simpler than ever with easily-removed door, top panel and storage bin allowing clear access to all internal components and a diagnostic code display insuring the right fix the first time. 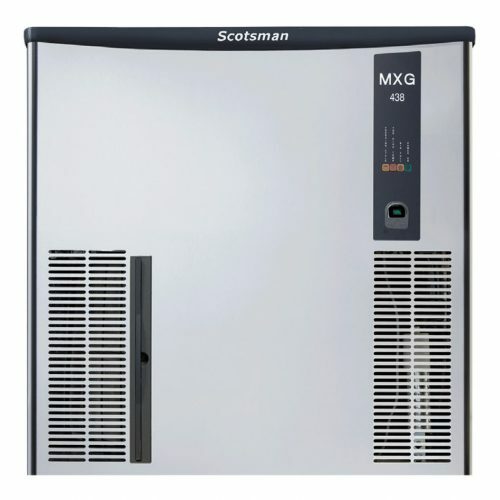 Scotsman ACM 25 is the best of it's kind in domestic Ice cube makers, built to a commercial standard. 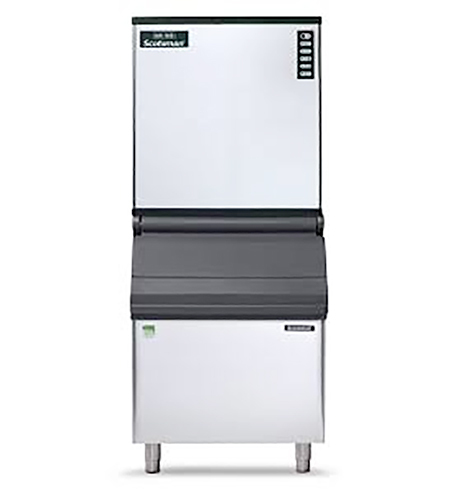 Designed to be freestanding, requires no plumbing connections. 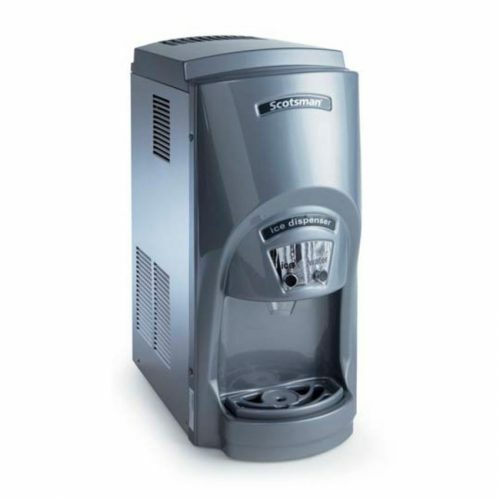 Simply fill with water and enjoy classic Scotsman Ice in minutes! 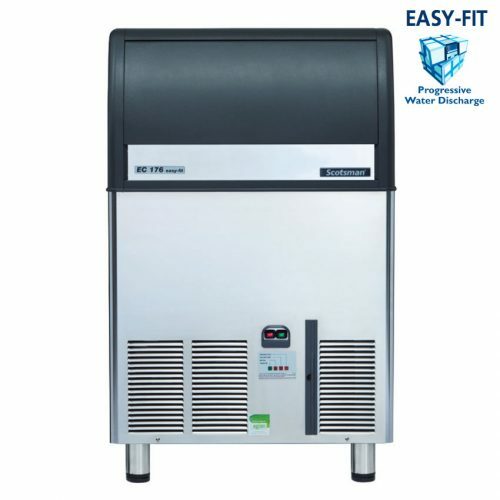 Perfect for home use and anywhere space is at a premium or no plumbing connections are available. 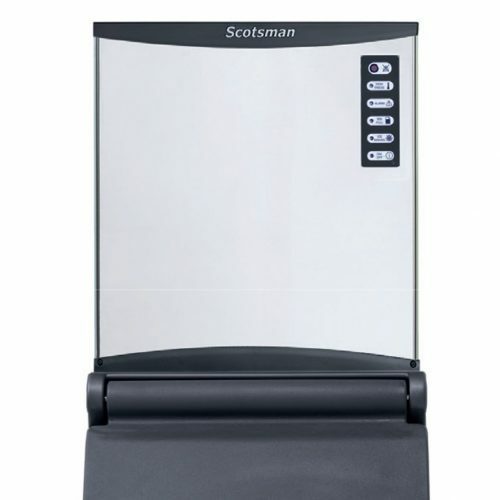 The Scotsman ACM 25 is a popular choice for domestic , laboratory or luxury yachts, benefiting from an inward opening door that can't swing open. 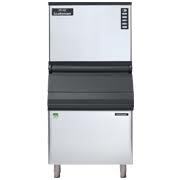 Can be used freestanding or built-in. Manual water fill with visual reservoir level indication. 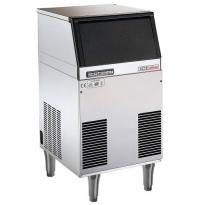 Optimised footprint: 56mm / 22"
One touch cleaning Streamlined cleaning process starting with one push of a button No more need of constant monitoring by a technician. Creates the classic six-sided dice ice-cube. Global standard footprint: strictly follows international imperial standards commonly adopted in the industry of reference. 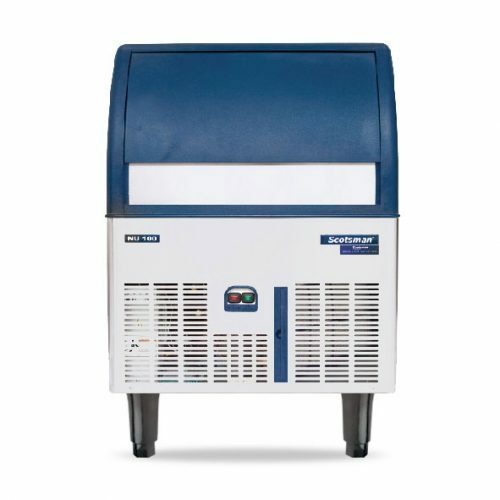 One touch cleaning: reduces labor costs and saves time andsimplifies cleaning process. 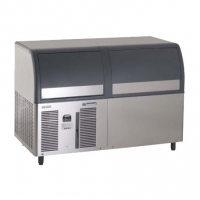 Front evaporator access: immediate access to the evaporating plate for quick self-maintenance operations. 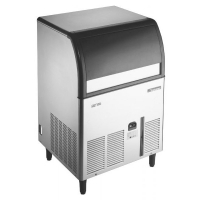 Head only ice maker: requires a separate storage bin to col- lect the ice produced. 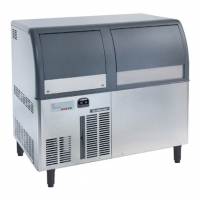 Includes storage bin to collect the ice produced. Produces Medium or Small cubes. 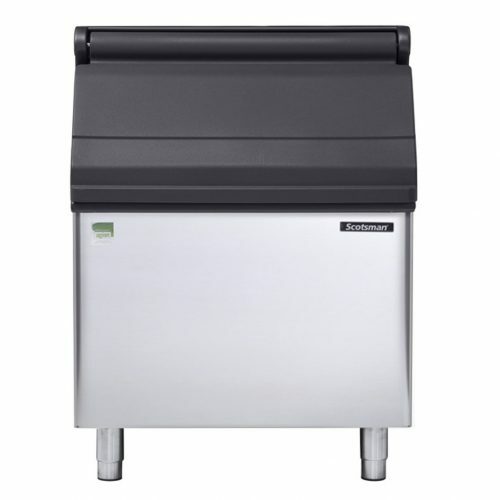 It is suitable for under-counter installation with 770 mm in height. Easily accessible front panel mount ON-OFF Switch. 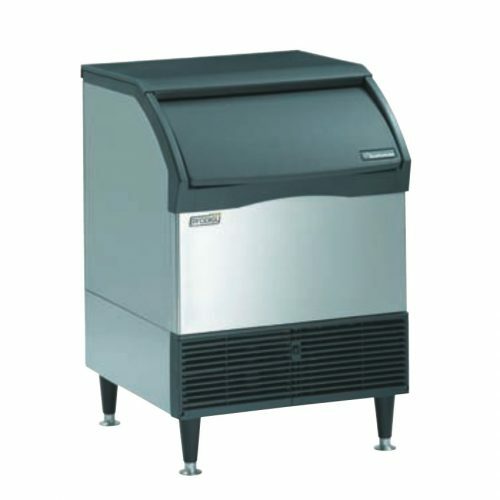 Ergonomically designed ice-storage access, with disappearing door. 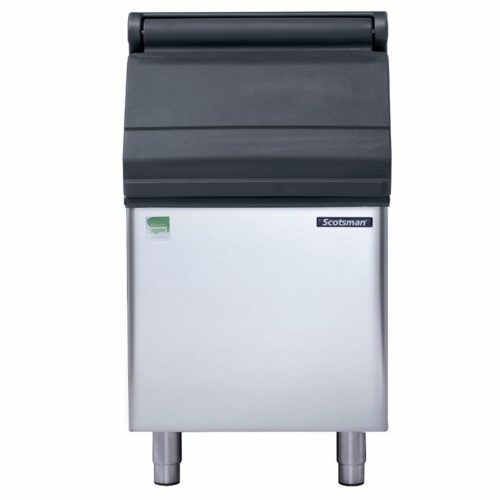 It is suitable for under-counter installation with 870 mm in height. 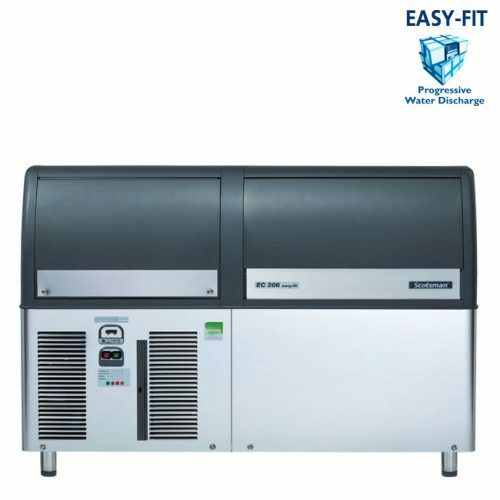 (Application) capacity is calculated on 90% of total volume in the cubic feet x 34 lb/ft3 - 545 kg/m3. (AHRI) capacity is calculated on 80% of total volume in the cubic feet x 30 lb/ft3 - 481 kg/m3. Max. production: 340 kg/24hrs: 17000 Cubes. 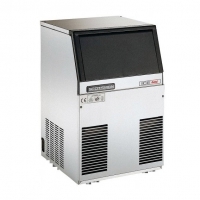 Options : Remote Air Cooled condenser. 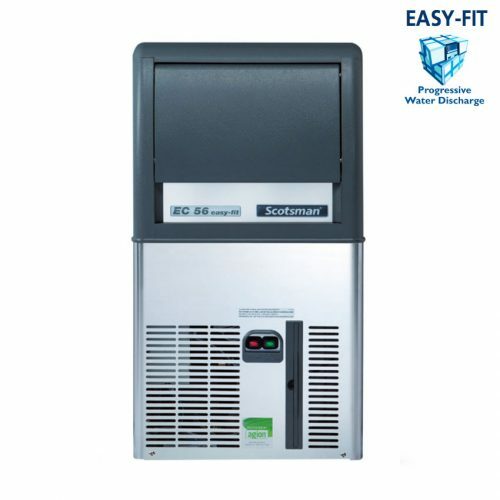 Recommended Water Filter HF60 -s.
Circuit rating / Voltage : 13 Amps / 230/50/1. 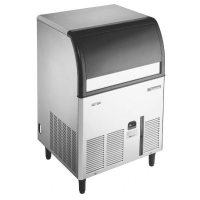 The Scotsman Ice One has a small price tag but it's but is big on performance! 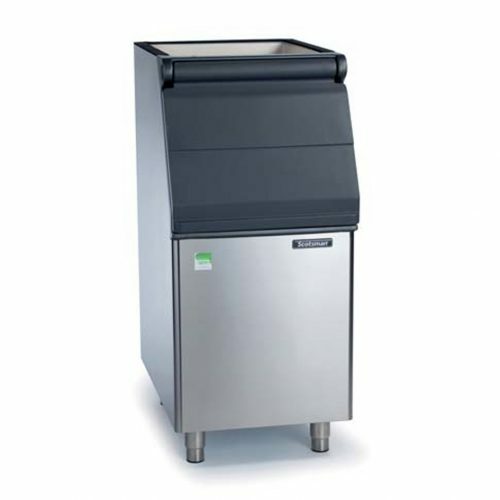 The massive 14kg bin means there's ample storage capacity to cope during busy periods. 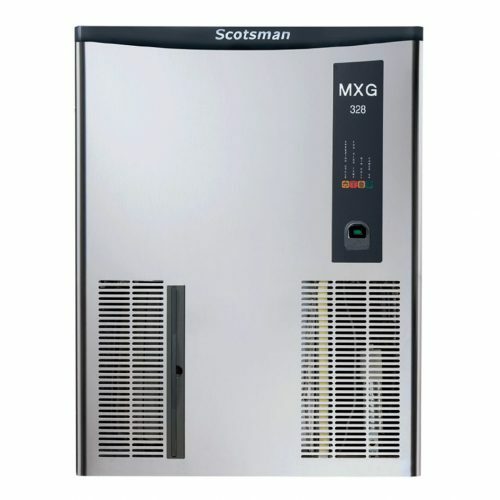 Rugged Scotsman build quality means many years reliable service and first-class quality ice production. The Scotsman Ice One is a wise choice for pubs, bars and restaurants. 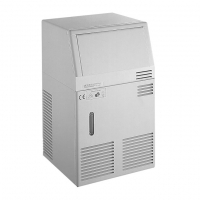 Product Code: SCO41 This Unit is discontinued. 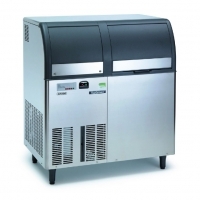 As a suitable alternative view the range of ice machines from Interlevin. 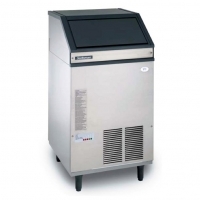 The Scotsman Ice Three has a big 14 kg storage bin just like its smaller brother, but with a much higher 38kg output making it suitable for larger establishments. 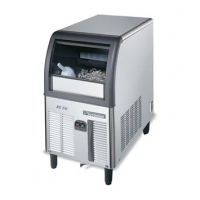 The machine is supplied as standard with four adjustable legs for floor-standing use. 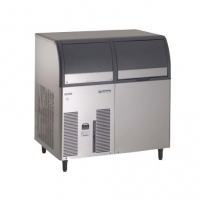 Product Code: SCOF1 This Unit is discontinued. As a suitable alternative view the range of ice machines from Interlevin. 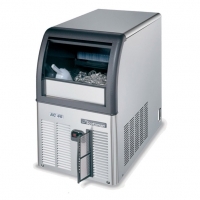 Compact ice or ice & water automatic dispenser, with appealing, contemporary “touch-screen” design. 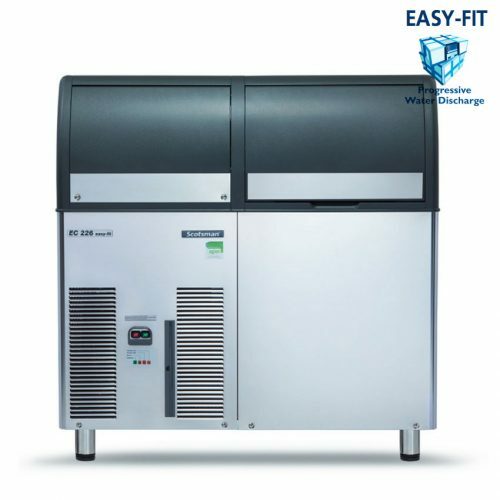 Ideal for free-refill self-service concepts with up to 1200 glasses filled per day and capable of dispensing ice for up to 100 customers in queue at one time. Available either touch-free or button activated. 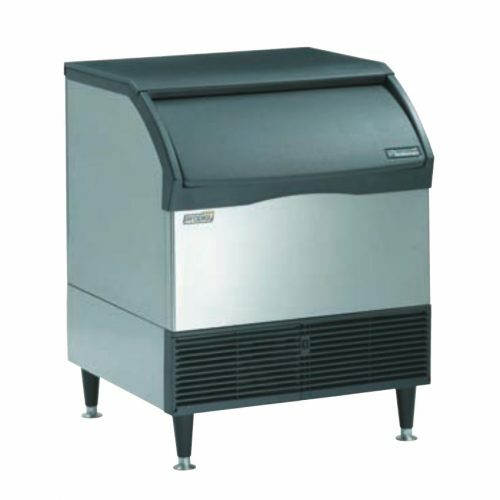 Possible to set ice only or ice & water on site and desired ice dosage (from 1’ to 15’ or continuous). Fast & friendly cleaning mode for the end user. Algorithm signaling when reservoir is temporarily empty. Full frontal visibility of settings and errors for preventative service check-up. Accessory: on request, it can be installed upon a specifically designed cabinet. 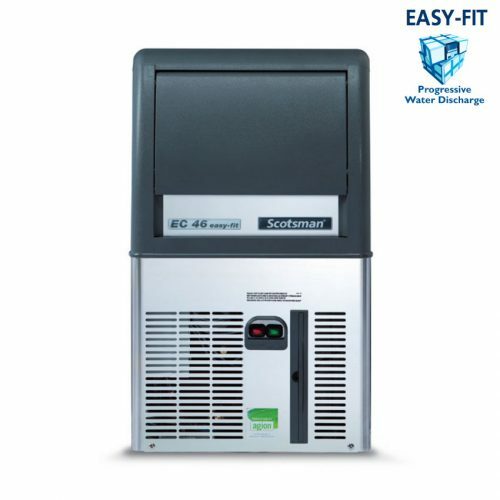 Ideal for free-refill self-service concepts with up to 2400 glasses filled per day and capable of dispensing ice for up to 200 customers in queue at one time. 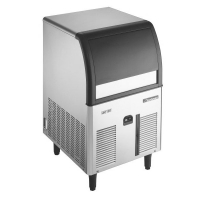 This ice machine is no longer available. 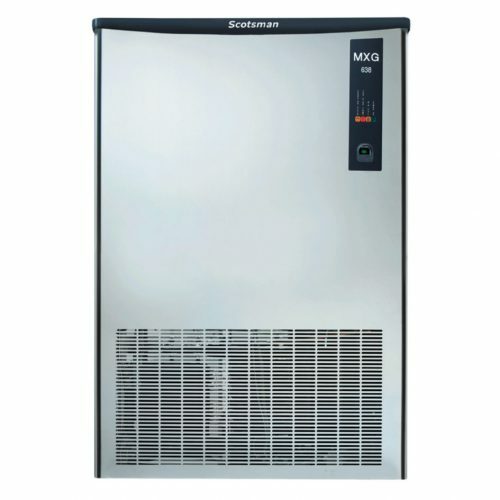 The Scotsman DXN107 and Scotsman DXN207 are the updated and alternative ice machines. 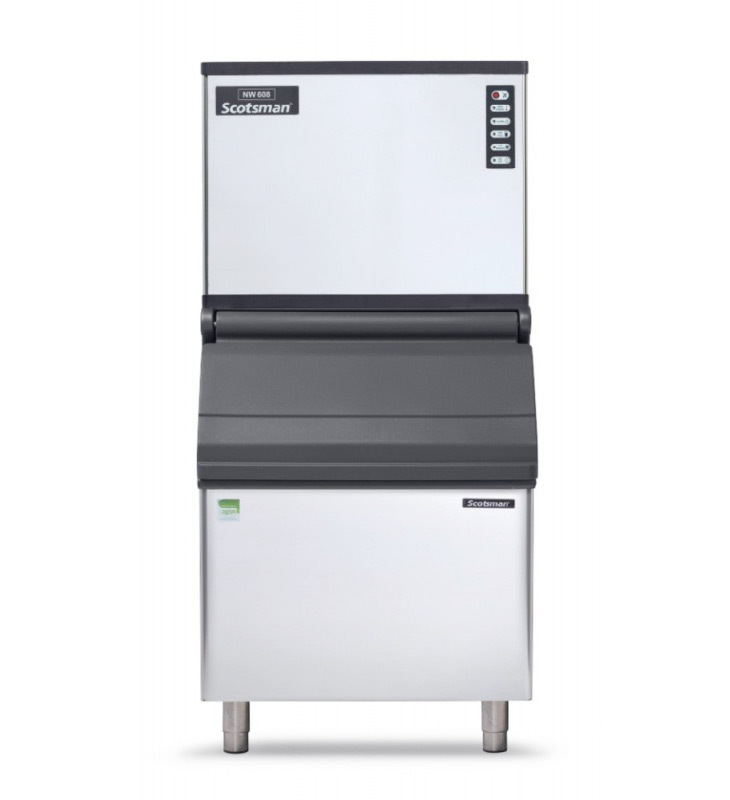 Automatic ice dispensing systems and self-service operations are becoming evermore popular in modern Foodservice concepts. 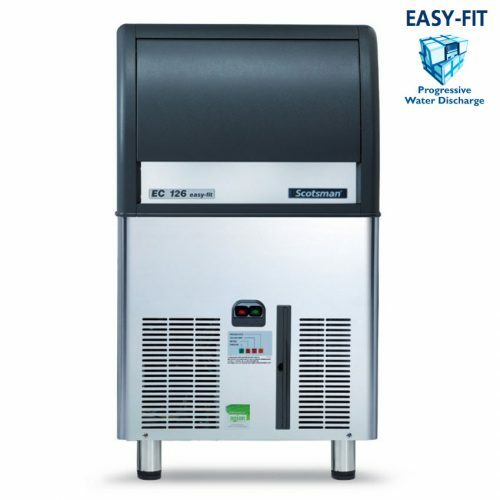 They allow customers to cool their drinks as per their own taste, making it easy and preventing any potential sanitary hazards: clear and pure ice bits drop directly into the consumer’s glass, with no manipulation. 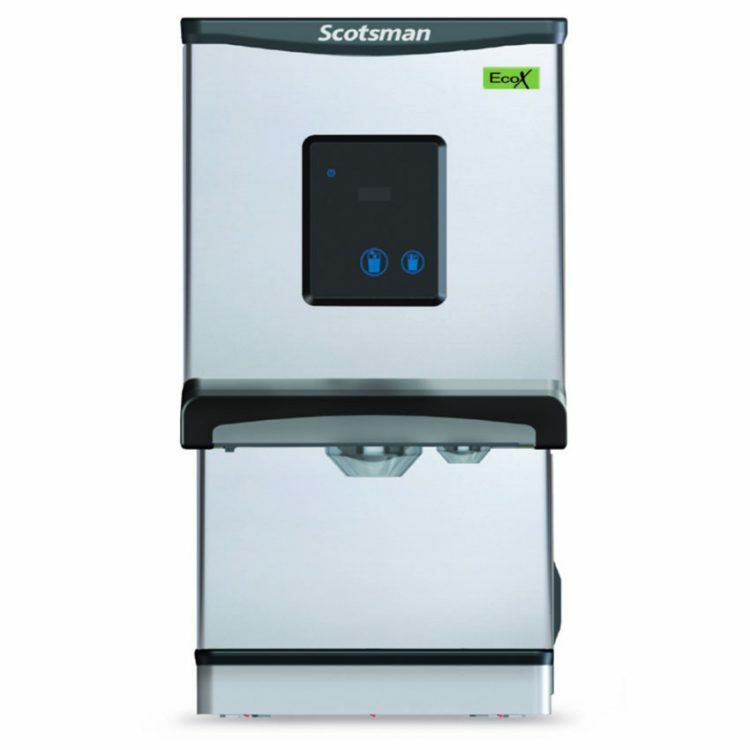 Scotsman Ice dispenser TCS180 is the Industry benchmark in the ice or ice and water dispensers segment. This line, in its different versions, is now available in the “Long Range” version that offers an unprecedented 9 kg in-built bin, keeping the same dimension as the original 5 kg version. 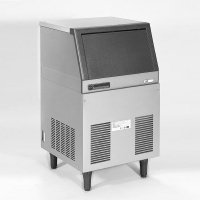 For those locations where the dimension of the counter are limited, we are offering the “Short” version, whose depth has been reduced by close to 6 cm, allowing for installation on most counters. 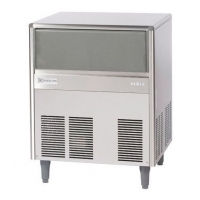 The capacity of the storage bin will not change though, granting the same amount (5 kg) of Scotsman “Cubelet” super compressed ice. 25 kg of ice in 24 hours Production.